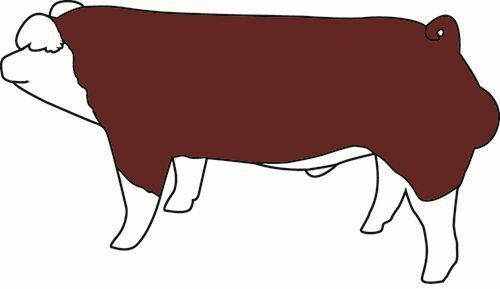 The Hereford hogs we have today are the products of the Creation Foundation Herd created by John C. Schulte in Norway, Iowa somewhere between 1914 and 1932. Mr. Schulte started a farm in 1914 and afterward got interested in Polled Hereford Cattle. He thought it would be nice to have some pigs with similar color markings to his Hereford Cattle. He also wanted a hog that were prolific for big litters, good rustlers, good feeding quality, maturing at a very early age with a minimum amount of feed to finish. He started by breeding Duroc and Poland China hogs. Through a process of crossbreeding, inbreeding, linebreeding and interbreeding developed a hog with consistent color markings of white face, white feet, white underline and a red coat. These hogs were docile, quiet, gentle disposition and easy to handle. At the age of 6 months these hogs usually range in the size of 200 – 250 lbs. In December 1933 and in May 1934, with the assistance of the Polled Hereford Cattle Association the National Hereford Hog Record Association was developed. Hereford hogs are considered a Heritage breed. A breed that is still pure. 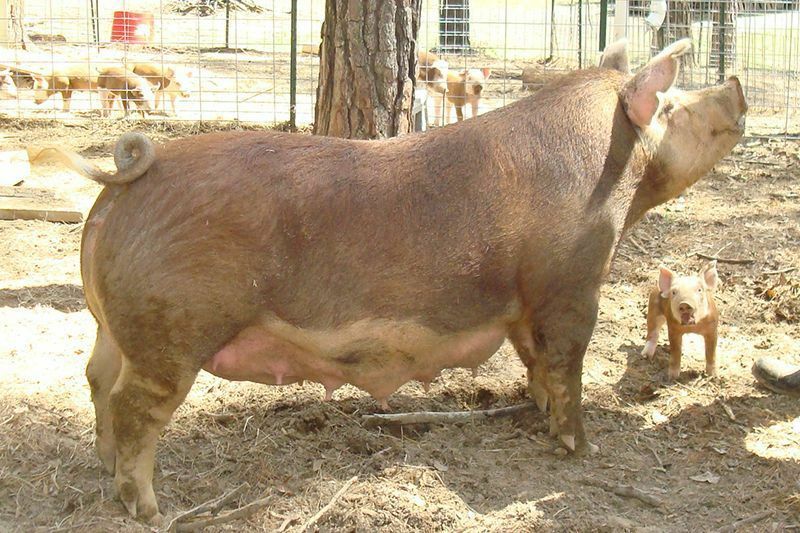 The commercialized pork producers have bred the fat out of their crossbred hybrid pigs, which makes the meat more lean. Hereford hogs have the ability to marble their meat, which makes the meat juicier, tastier and more tender than the cuts you find at the grocery store. Hereford meat is also a little more red in color. In the 1960’s the Hereford hog population plummeted due to a shift in preference by commercial pork operations away from purebred hogs towards hybrids. Today Hereford hogs are making a comeback. In 2014, 3,420 hogs were registered. In 2015, 4,754 hogs were registered and in 2016 the National Hereford Hog Association was on track to record over 6,000 head. 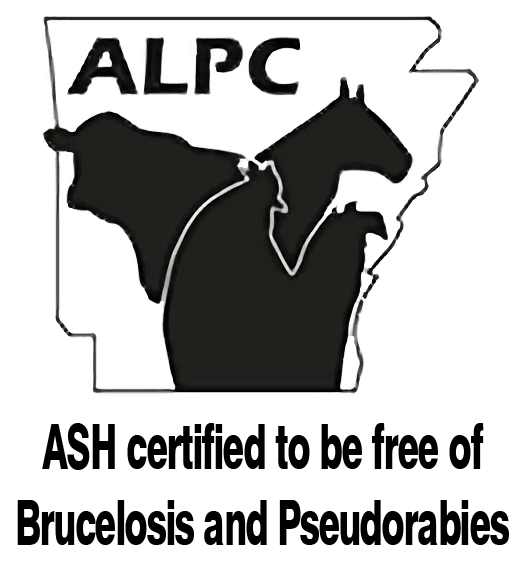 The majority of this information was compiled from the National Hereford Hog Association website and the National Hereford Hog Association 50th Anniversary History book and Wikipedia.